My Virtual Assistant celebrates TEN YEARS IN BUSINESS! My Virtual Assistant joined the land of Instagram! Click on the icon to connect, network or simply follow what My Virtual Assistant is up to. On 11 October, My Virtual Assistant joined a powerful community of women to gather at Shed 10 in Auckland City for the first ever Femmepire Summit. My Virtual Assistant is honoured to be accepted as one of the Superhero Women in Business and be part of the #empowerwomenwithkissmovement! Kiss Branding and Design in Melbourne, Australia, set off into the land of Social Media and put the call out to all Superhero Women in Business, otherwise known as the #empowerwomenwithakissmovement! The response they got was incredible. Women from all over the globe saw the smoke signals that only superhero’s can see and compiled their stories, all with a common drive behind them… to share their unique story to all the land in hopes of Empowering other women who just may read their story and relate to it. It might be their story that helps a superhero-in-the-making get out of bed and keep going… striving towards their dreams and goals for the future. My Virtual Assistant launches a brand sparkling new website for... My Virtual Assistant! The intention is for clients/potential clients to enjoy a positive experience right from the moment they visit the website for the very first time and preserving this experience when they are working with My Virtual Assistant. My Virtual Assistant interview and business story is featured on Venus Network Group's website. My Virtual Assistant celebrates nine years in business! My Virtual Assistant is a proud sponsor of the Burn Support Group Charitable Trust Inc.
Burns are traumatic injuries for both survivors and their family/whanau. Burn survivors can be faced with many losses – their usual physical appearance, sometimes their home, income, and perhaps they are also grieving the loss of a family member or colleague involved in a fire. Therefore, a multiple grief situation is not uncommon. This is often experienced whilst also enduring a long hospitalisation period. The multiple emotions felt by burn survivors and the need for care on many levels, was the reason that founder, Delwyn Tait, felt there was a very real need to not only augment hospital care for burns survivors, but also particularly support survivors and their families throughout the rehabilitative phase of a burn injury. My Virtual Assistant is thrilled to be on the Mangement Team for Season 3 of The Cath Vincent Show. "A superbly effortless experience! 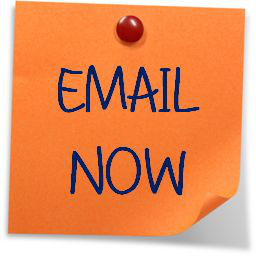 I HIGHLY recommend My Virtual Assistant if you want to achieve a lot to a high standard in a short amount of time." 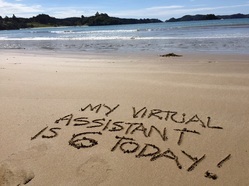 My Virtual Assistant celebrates eight years in business! The SIXTIETH WEBSITE created by My Virtual Assistant goes live! For more information about getting an affordable website for your business, please call My Virtual Assistant on 0274 820 818 or click here to email. Video: Barbara (left) and Katie from Creations Hair Design are proud owners of the 60th website created by Marion Jackson (centre) from My Virtual Assistant. 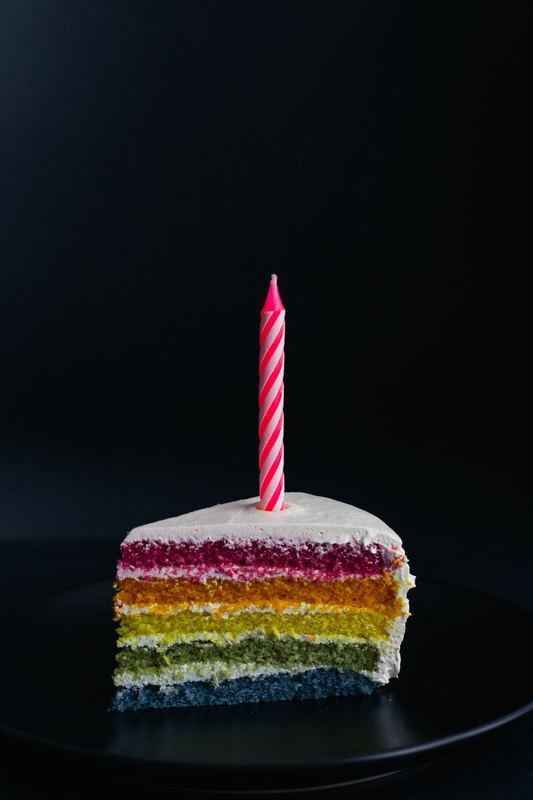 My Virtual Assistant celebrates seven years in business! My Virtual Assistant launches brand new logo. My Virtual Assistant is a very proud sponsor of 'Raise It' for Hilz. This is a fundraising event for gastro-intestinal cancer, to be held on Saturday 22 August 2015. My Virtual Assistant takes care of the website and various social media for this very worthy cause. 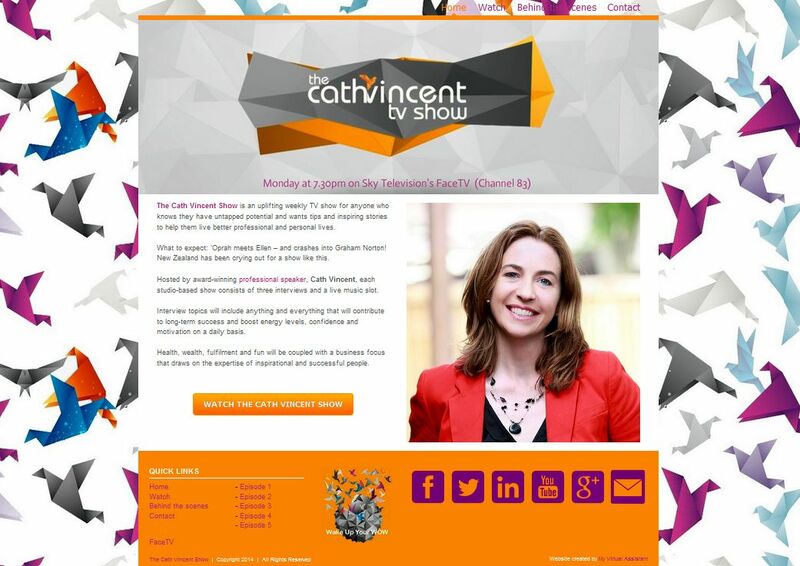 My Virtual Assistant is thrilled to be on the Mangement Team for Season 2 of The Cath Vincent Show. My Virtual Assistant takes care of social media for The Cath Vincent Show, and created/maintains the website for the television series. 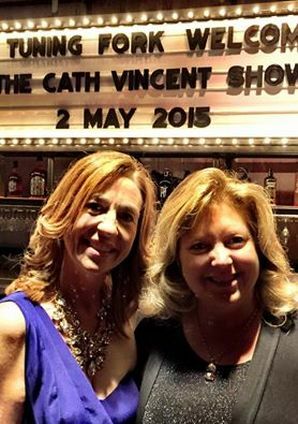 TV show host, Cath Vincent, with Marion Jackson from My Virtual Assistant, at the Season 2 Launch Concert for The Cath Vincent Show. 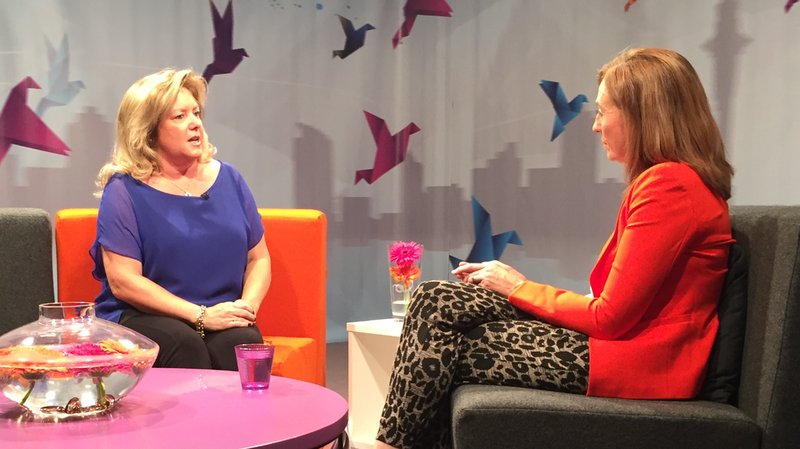 Marion Jackson from My Virtual Assistant is interviewed by television show host, Cath Vincent, from The Cath Vincent Show. Season 2, Episode 2 of The Cath Vincent Show airs on FaceTV (Sky Channel 83) on 11 May 2015. 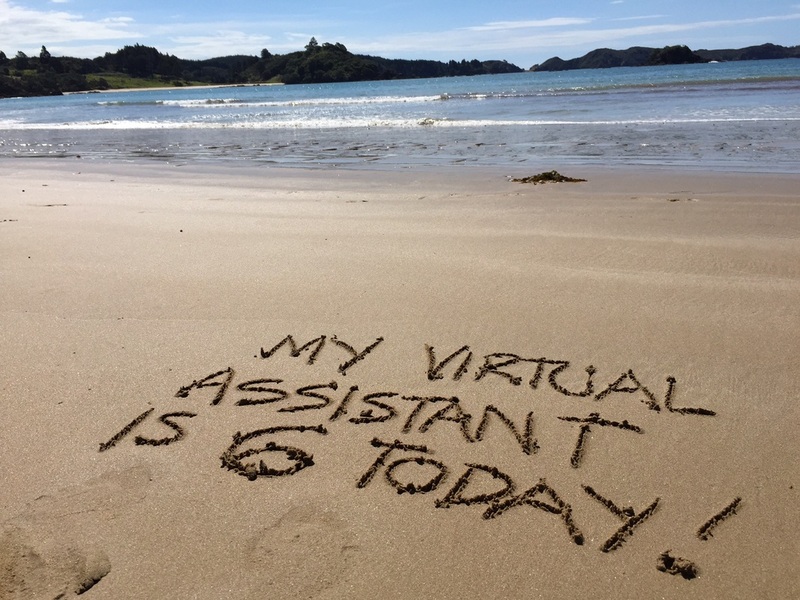 My Virtual Assistant celebrates six years in business! 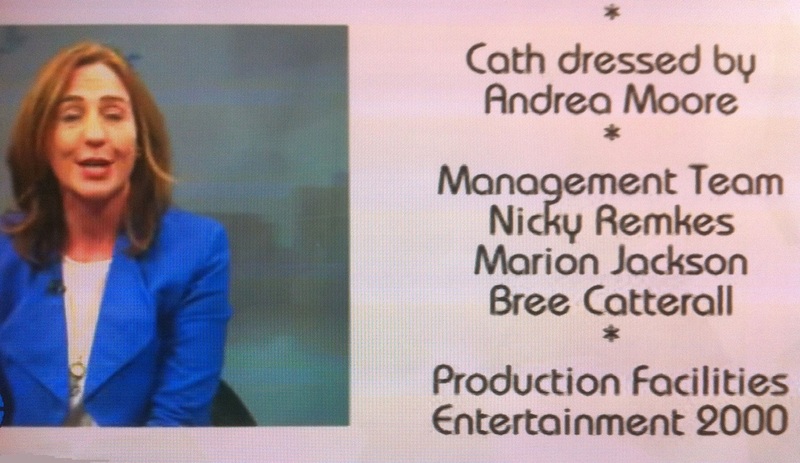 My Virtual Assistant is thrilled to be on the Mangement Team for Season 1 of The Cath Vincent Show. The Cath Vincent Show is an uplifting weekly TV show for anyone who knows they have untapped potential and wants tips and inspiring stories to help them live better professional and personal lives. ‘Oprah meets Ellen – and crashes into Graham Norton’! New Zealand is crying out for a show like this. 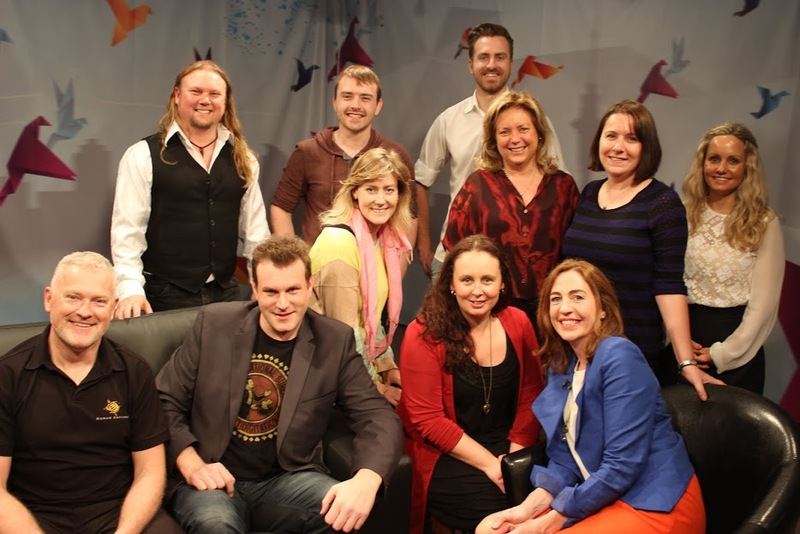 Hosted by award-winning professional speaker Cath Vincent, each studio-based show consists of three interviews and a live music slot. Interview topics will include anything and everything that will contribute to long-term success and boost energy levels, confidence and motivation on a daily basis. Health, wealth, fulfilment and fun will be coupled with a business focus that draws on the expertise of inspirational and successful people. My Virtual Assistant takes care of social media for The Cath Vincent Show, and also created and maintains the website for the television series. "It's a wrap!" Filming of the first episode of The Cath Vincent Show has been completed. Marion Jackson from My Virtual Assistant, third on the right (red top) and Cath Vincent, seated, front right (blue jacket). The 40th website created by My Virtual Assistant goes live! For more information about getting an affordable website for your business, please call My Virtual Assistant on 0274 820 818 or email here. My Virtual Assistant is featured on pages 92, 97, 221, 230 and 341 of this book. Have you ever wanted to create and operate your own home-based online business? If so, you've come to the right place. Even if you are just thinking about doing so, this book will help you to determine whether owning and operating a virtual business is right for you. This book is based on more than three years of research on hundreds of home-based virtual entrepreneurs from around the world. 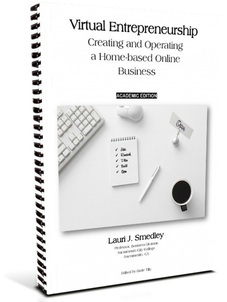 Professor Smedley's "Virtual Entrepreneurship: Creating and Operating a Home-based Online Business" will take you from idea to completion of your online business start-up goals. Learn from other practicing virtual entrepreneurs and college professors as you read this book. Topics include: Understanding Virtual Entrepreneurship, Skills Assessments, Getting Started, Virtual Assisting, Writing a Business Plan, Promotion and Marketing, Working Online, Operating Tools and Tips, Financial Planning for Home-based Online Service and Retail Businesses, Legal Considerations, Maintaining Balance, and Expert Advice from Practicing Virtual Entrepreneurs. Also included are business documents and sample business plans for an online service business and an online retail business. Virtual Entrepreneurship has been adopted by several colleges in the United States and has been read by individuals in various parts of the world. Included are more than 500 links to additional resources that you will find invaluable as you begin to plan and operate your home-based online business. This Academic Edition includes homework assignments at the end of each chapter that is ideal for college courses. If you are looking for a book to read on your own, consider the Standard Edition, which does not include any homework assignments. There is also a Virtual Entrepreneurship Financial Plan Templates CD that can be used with or without the book. So go ahead, get this book, and start living the lifestyle of a Virtual Entrepreneur. My Virtual Assistant is extremely proud to be a sponsor of South Pacific Animal Welfare (SPAW). SPAW is an animal aid organisation working on Pacific Islands, who recruit industry professionals and work with local agencies to run free veterinary care and spay/neuter clinics within communities on our neighbouring Pacific Islands. SPAW is a NZ based registered charity. My Virtual Assistant is assisting SPAW with their communications requirements. 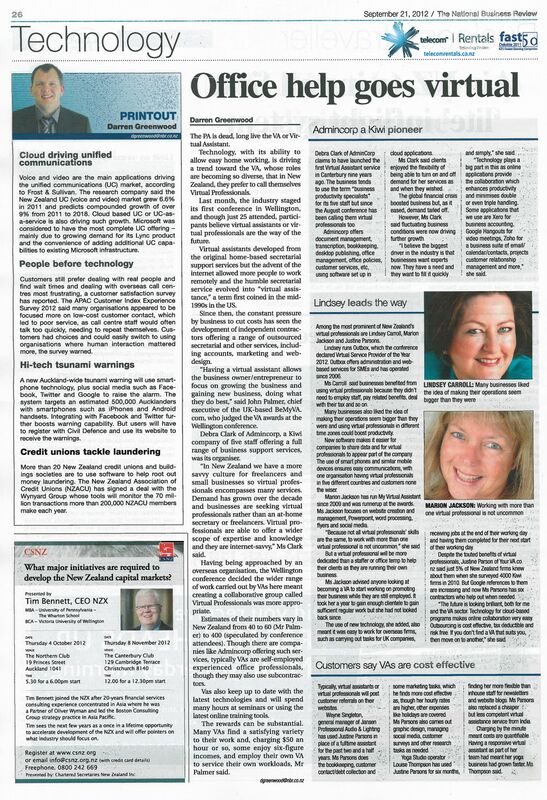 My Virtual Assistant profile article featured in the January/February 2013 issue of 'Financial & Business Advisor Journal, New Zealand'. "Office Help Goes Virtual" - The PA is dead, long live the VA! 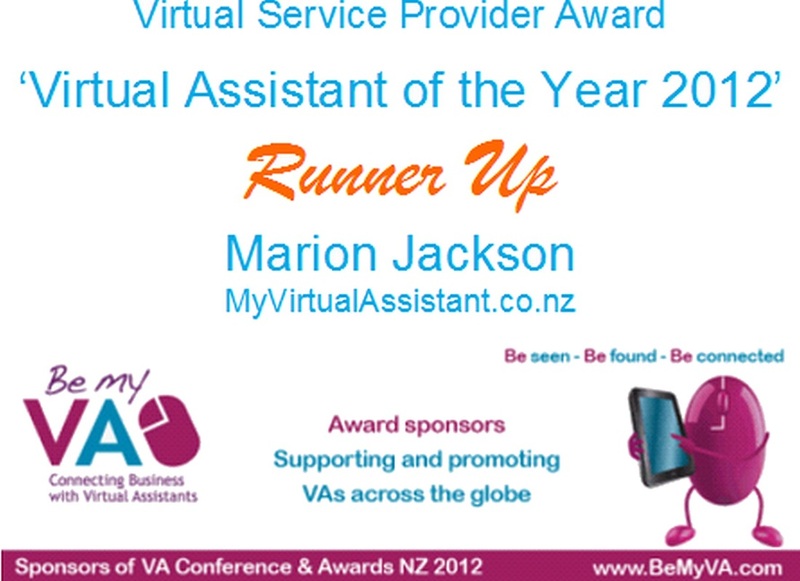 Marion Jackson from My Virtual Assistant is the RUNNER UP for 'Virtual Assistant of the Year Award 2012', at the Virtual Assistant Conference on 28 & 29 August 2012 in Wellington, New Zealand. 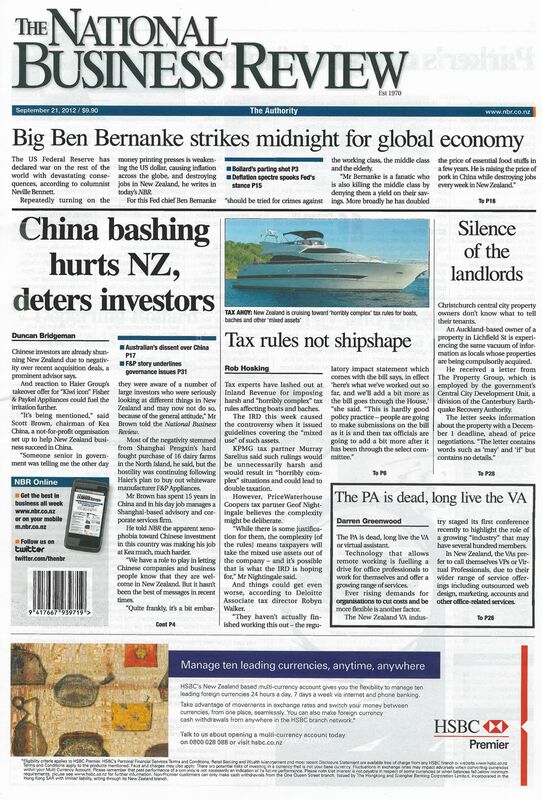 This is the first time an award has been offered to Virtual Service Providers in New Zealand. Two finalists were shortlisted from all the nominations received. This award is special in the aspect that all the nominations came from clients and, at the same time, the finalists received great feedback about their service to these clients. The judges this year were John Palmer from Bemyva.com and Larissa Paris from Xero.com. 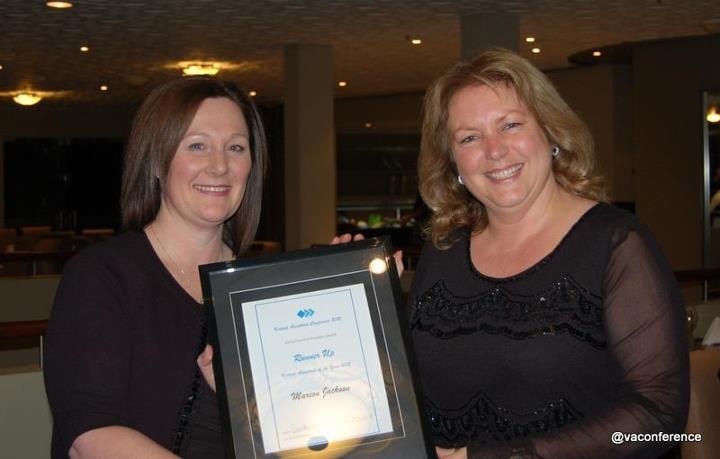 'Runner Up' for Virtual Assistant of the Year Award 2012. My Virtual Assistant is a FINALIST for Virtual Service Provider of the Year Award 2012. My Virtual Assistant is a NOMINEE for Virtual Service Provider of the Year Award 2012. This award is open to all individuals who offer virtual services within New Zealand and a winner will be acknowledged at a Gala Dinner, as part of a Virtual Assistant Conference, to be held in Wellington at the end of August 2012. 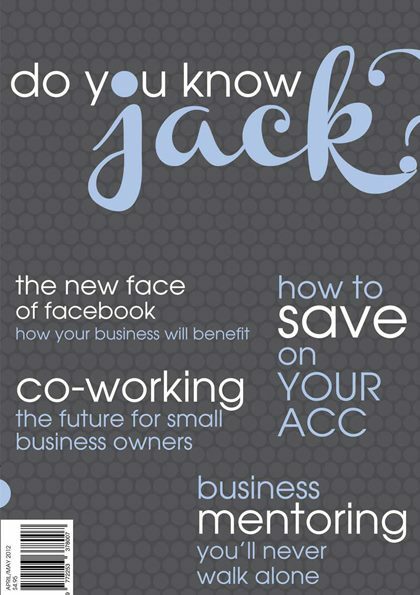 Marion Jackson from My Virtual Assistant was asked to contribute to business magazine, "Do You Know Jack?" 'Do You Know Jack?' 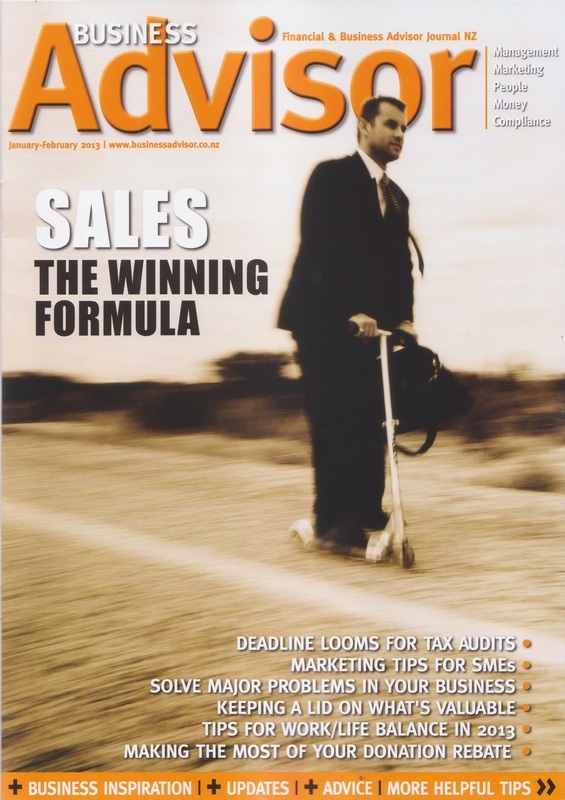 magazine focused on small business success, growth and operation in New Zealand. Articles are all educational in nature and provide written information by experts in their field from accounting, to design, to marketing and HR. What Every Business Owner Should Know About Doing Business From Virtually Anywhere “The Virtually Anywhere Business” is dedicated to building the foundation and understanding of what working online really means. 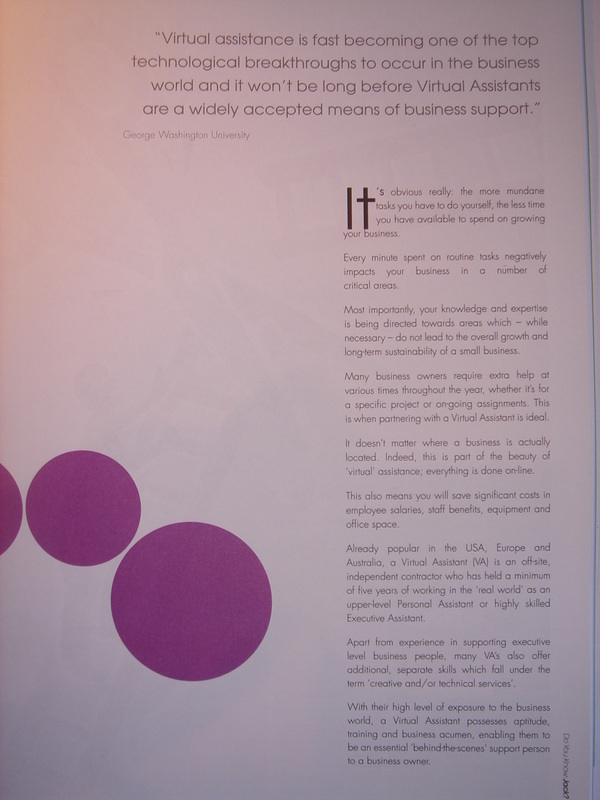 The book has been written from a unique perspective, and includes contributions from virtual assistants, and clients who use virtual assistants. The book is written by Michelle Dale, and includes a series of personal experiences and fact-based advice from years of working entirely online and travelling as a digital nomad. "The VA Business" covers the four primary online business essentials, remote working, virtual assistants, online marketing and business success. If you have any inclination what-so-ever to work online, earning a full-time income, and you want to know the facts, then this book is a must read. Outdoor music concert, A Summer Wrap @ Valley de Sol, held at Chris and Tony Bull’s property in Howick, Auckland, on Saturday 19 March was a sellout. Around 250 people enjoyed a lovely afternoon within the beautiful, private grounds of Valley de Sol, whilst listening to a selection of talented performers, including fabulous music duo Wilde and Rich, Courtney Janssen and Chloe Bartlett. All of the entertainers gave up their time for free. The aim of the concert was to celebrate the last days of summer, whilst raising as much money as possible for Hospice South Auckland and the Christchurch Earthquake Appeal. 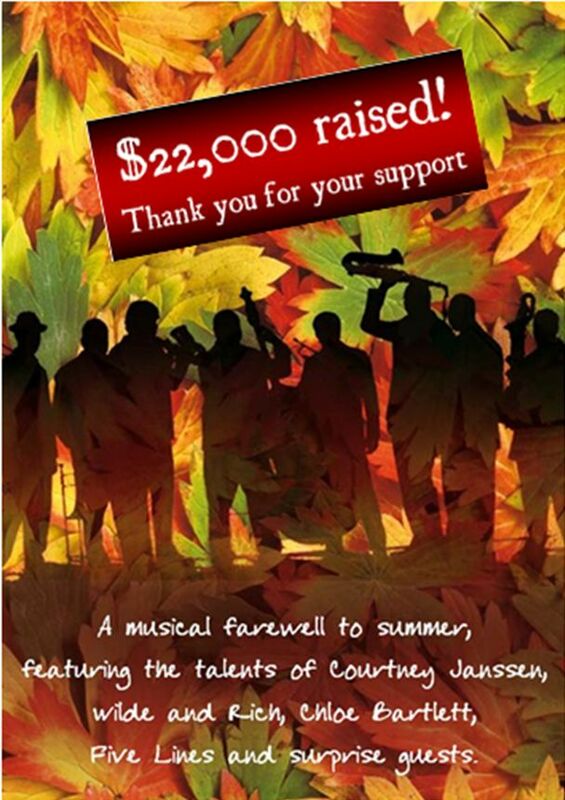 The concert raised $22,159.00 which will be split evenly between the two charities. The concert helped raise awareness of Hospice South Auckland, which offers inpatient facilities where people go for respite care, symptom and pain management, or during their last days. Hospice services are completely free of charge and rely on the generosity of the people in the community for donations to help meet costs. A Summer Wrap @ Valley de Sol was organised by Howick’s BNI Business Brunch, which is a group of 16 business owners who get together every week to network and promote their businesses. My Virtual Assistant created a temporary website to help promote this concert. 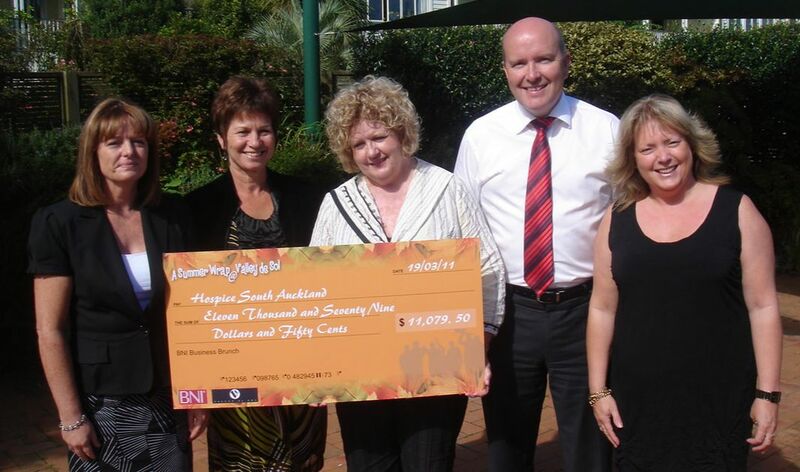 for $11,079.50 to Hospice South Auckland. From left: Anne Faulkner (Faulkner Construction), Christine Bull (Inner Concepts), Jennifer Kent (Hospice), Ian Taylor (Ray White) and Marion Jackson (My Virtual Assistant). My Virtual Assistant was proud to be part of Curly from Shirley, the Christchurch Dog's book launch in Ponsonby, Auckland, last night. On Monday 28th March, just four weeks after the idea for the Curly book first came about, the book was officially launched in Christchurch and Auckland. 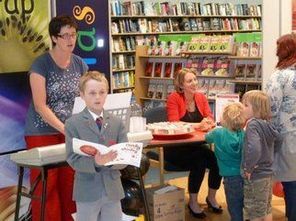 In Christchurch, Emma Pullar the author, was on hand to sign picture book 'Curly from Shirley, the Christchurch Dog', while musical sensations, Christchurch Bob and his mum Julie Gaudin, entertained with the song of Curly from Shirley. While in Auckland, it was the turn of illustrator Victoria M. Azaro, designer Cheryl Rowe and publisher Jill Marshall to talk about Curly. A great time was had by all, and you can now buy 'Curly from Shirley the Christchurch Dog', from New Zealand bookstores and from Curly's website www.curlyfromshirley.com, where you can also purchase the ebook of Curly and the fantastic song. My Virtual Assistant created Curly From Shirley's website. Bob and his mum, Julie sings, while Emma signs. 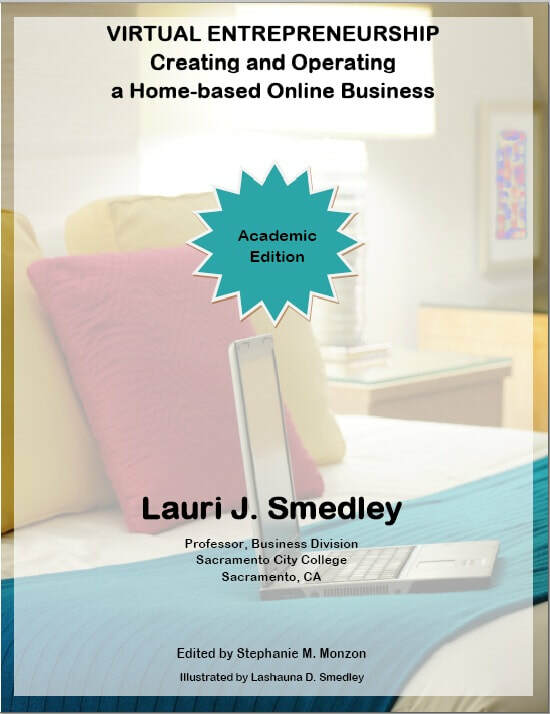 Marion Jackson from My Virtual Assistant featured in a book written by Professor Lauri J Smedley, of Sacramento City College, Sacramento, California, USA - "Virtual Entrepreneurship - Creating and Operating a Home-based Online Business." With the arrival of free ‘template websites’, there is now very little reason for a small to medium sized business not to have their own website. Template websites are pre-designed and allow you to add your own content – everything from text and images, right through to sound and movies, enabling you to customise your website in almost any way you like. A web presence is crucial for any small business and offers far more flexibility than a Facebook or Twitter page. Every business needs custom branding and to create an identity, and template websites provide this opportunity. However, even though template websites are generally easy to use, not everyone has the flair, creativity or time to set one up. A huge part of the appeal of a template website means no longer having to call a web designer to correct every grammatical error and photo upload. Being able to update your website whenever you wish also means it is easy to keep content fresh and relevant. These days, one of the first things that a customer or another business does before they consider dealing with you, is look you up on your website. So, what does it say to them if you don’t even have a website? 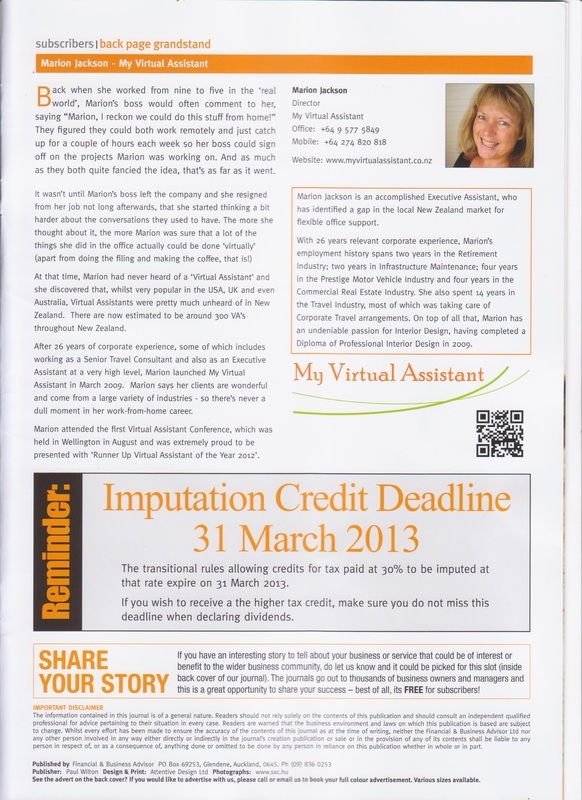 My Virtual Assistant featured on Business Blogs website. My Virtual Assistant featured on Bizoomi website. 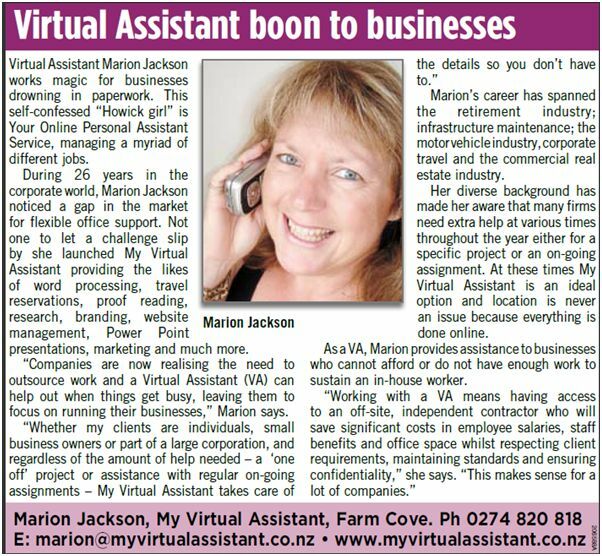 My Virtual Assistant featured in "Woman in Business" section of Howick & Pakuranga Times Newspaper. Online Personal Assistant Service, ‘My Virtual Assistant’, is celebrating one year in business this month. “It’s always been my goal to have my own business and being able to work from home is the icing on the cake,” said Marion Jackson, Director of My Virtual Assistant. Known for her personal service and attention to detail, Marion attributes her honesty, work ethic and friendly personality as part of her success. She is an accomplished Executive Assistant, with 26 years ‘real’ world experience, who has identified a gap in the local New Zealand market for flexible office support. My Virtual Assistant offers outsourced administrative services to business owners, both locally and overseas, and is dedicated to helping save valuable time and money, often associated with hiring onsite staff. As New Zealand begins to ease its way out of the recession, many business owners are apprehensive about leaping in and employing new staff. Owners of small to mid-size businesses may not be able to justify employing the same number of staff as they had prior to the recession. However, as the New Year kicks off and business starts to pick up, many remaining staff members may be required to take on the extra work caused by the redundancies of the past year. This can lead to decreased productivity and low morale. For business owners who want to get back to where they were before the recession or even grow their business, employing staff may not be an option. Instead, the answer could lie in outsourcing. A Virtual Assistant has usually gained experience from working in the ‘real’ world for a number of years and business owners will find they are enthusiastic, reliable and highly skilled. A Virtual Assistant will only work when there is work to be done. This means business owners don’t have to scratch around finding work for them to do in order to justify their employment, like you might with an actual onsite employee. Other benefits include not having to pay for holiday or sick leave. Outsourcing non-revenue generating assignments or time consuming administration tasks to a Virtual Assistant is an effective way of increasing results and improving productivity. Having a reliable service to count on, such as ‘My Virtual Assistant’, will help business owners get through the down and up times in business, and in many cases, can lead to a long term, beneficial partnership and ultimate business success. Even though a Virtual Assistant can be used for a ‘one off’ project, in order to make a really effective change, building rapport and passing on regular assignments could result in a permanent and cost effective way of conducting business. Real Estate agents are arguably some of the busiest people in the business world, needing to spend valuable time on marketing themselves, marketing their listings, working directly with clients and following up after a sale. The more successful a Real Estate agent is, the more administrative tasks they create and the more time they spend on administrative tasks, meaning there is less time to generate new revenue. Too much administrative work can become exhausting and time consuming. It can take away from a Real Estate agent’s bottom line and prevent them from concentrating on what they do best... working with clients and selling property. If a Real Estate professional doesn’t seek the help of an assistant, they will have to spend time being the assistant as well. 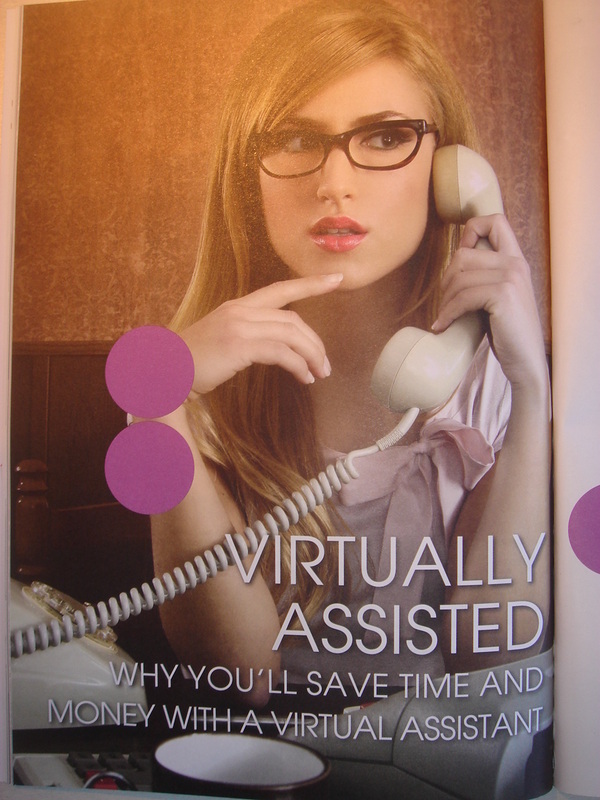 This is when working with a Virtual Assistant (VA) can be highly advantageous. A Virtual Assistant is an extremely valuable business tool for the most successful Real Estate agent’s in the industry. Imagine having your own assistant who is ready to work for you, but only when you need them? Partnering with a Virtual Assistant reduces stress, protects cash flow, eliminates administrative hassles and enables Real Estate professionals to find the success they originally set out to achieve. A Virtual Assistant provides all the advantages of outsourcing – there are no employee taxes to think about, no sick leave or vacation time to pay for and no equipment or office space to provide. A Virtual Assistant will only charge for the hours worked, which means if things aren’t so busy then money isn’t wasted on ‘downtime’. Getting support from a Virtual Assistant can enable savvy Real Estate professionals to stay on top of the competition and get ahead in their industry. Many Virtual Assistant’s (commonly known as VA’s) started out as corporate professionals, having spent a number of years working in the ‘real’ world and were looking for a flexible work-from-home solution. However, the Virtual Assistant industry in New Zealand is becoming a thriving, extremely valuable and very affordable resource for companies feeling the pinch in these uncertain times. Not only can a company save significant costs when working with a Virtual Assistant, they will also find that VA’s are efficient, knowledgeable, experienced, very dedicated and highly motivated people. Because VA’s run their own businesses, they want to do a great job for their clients. Neither the location of a company or a VA is a barrier, because everything can be done online. With the recession causing many job redundancies, there has never been a better time to start working with a Virtual Assistant, than right now. Even though many small businesses and large corporations have been forced to reduce their on-site staff numbers, doesn’t mean there isn’t still work to be done. The trick is to make the most of remaining employees and to reduce costs by outsourcing wherever possible. That’s where a Virtual Assistant steps in. Virtual Assistant’s can dramatically help almost any business grow, create marketplace competition and contribute to keeping companies afloat. Business savvy companies will be ready, waiting and already placed ahead of their competitors when the economy starts to pick up again. Enlisting the support of a Virtual Assistant now can increase a company’s resilience ensuring they come out the other side unscathed. There is a huge benefit to small business owners in getting support from a Virtual Assistant. It’s obvious really. The more things you do yourself, the less time you have to devote to growing your business. All those administrative tasks do nothing but drain energy and waste the time of someone who owns their own business. 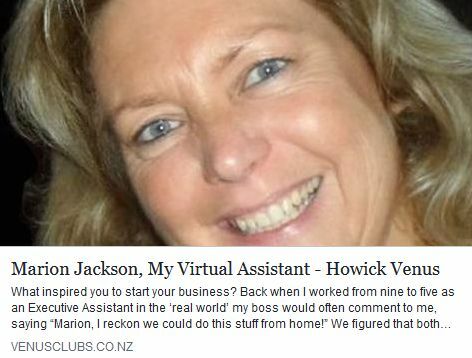 “Imagine having access to a skilled professional who could take care of all the day-to-day stuff”, says Marion Jackson, owner and operator of My Virtual Assistant, a home-based, online personal assistant service. A small business owner should be spending the majority of their time on activities that create profit and value. Balancing time between planning, marketing, networking and on-time delivery of revenue-producing products and/or services would be far more effective than wading through all that daily, income-draining admin work. Many small business owners continue to struggle on by themselves, doing work they hate or don’t do very well. Less time is spent with family and friends, because personal time is often consumed trying to keep up with the more mundane tasks. Every minute spent on routine administrative tasks negatively impacts your business in a number of critical areas. Most importantly, knowledge and expertise are being directed towards areas that while necessary and important, do not lead to the overall growth and long-term sustainability of a small business. My Virtual Assistant recently opened its ‘virtual doors’ to help businesses who are drowning in paperwork. More and more companies are realising the need to outsource work and let a virtual assistant help out when things get busy, so they can focus on what they do best… running their business. It doesn't matter whether you are an individual, small business owner, part of a large corporation, or even where you are located in New Zealand, if you have a 'one off' project or need help with regular on-going assignments, My Virtual Assistant is available to take care of the details, so you don’t have to. “It’s all about respecting client’s needs and maintaining standards,” says Marion Jackson, owner and operator of a new online, home-based company, My Virtual Assistant – Your Online Personal Assistant Service. Extremely popular in the USA, UK and Australia, Virtual Assistants (VA’s as they commonly referred to) provide assistance to businesses who cannot afford or do not have enough work to sustain an in-house worker. “It makes sense to hire a VA right now, especially during these economic times, what with redundancies being made and companies having to keep costs down”, says Ms Jackson. Hiring a VA means you have access to an off-site, independent contractor who will save significant costs in employee salaries, staff benefits and office space. ‘My Virtual Assistant’ ultimately offers the benefits of office support without the significant cost of employing an extra member of staff. Tailored to suit the needs of clients, ‘My Virtual Assistant’ provides a range of services, including word processing, travel reservations, proof reading, research, marketing, etc.